Lemongrass soup with coconut milk, cilantro, green onions and tomato with choice of mushroom, chicken or shrimp. Thin rice noodles, bean sprouts, tofu, eggs, crushed peanuts and scallions in a sweet tamarind paprika sauce. Wide rice noodles, eggs and broccoli in sweet soy sauce. Golden crisp fried vegetable and silver noodle rolls served with sweet and sour sauce. Fresh roll stuffed with cucumber, carrot, lettuce and fresh basil served with peanut sauce. Our go-to neighborhood Thai- the best out of the the 4-5 options within a mile, in my opinion. What a tasty, hearty soup the Kao Soi was! Very good. Even kept the pickles in, because I figured if that's how they serve it they must be onto something. Subtle and not too many small pieces. I even saved leftover curry soup base to add too make a little more watered down soup the next day with added veggies and tofu. The Shumai potstickers were good, too. Every single time I order Si Lom I am surprised by how good it is. It is better than all the Thai / SE Asian fusion in Dallas. I don't write reviews for restaurants, and yet here we are; that's how good it is. The calamari & pad thai were excellent but orange beef was mediocre. Also there were no utensils or napkins included. I'm hoping that was an oversight. I would order from them again....just not orange beef. Fantastic tasting. I noted on 1 dish I was allergic to garlic and they called me to say there was garlic in another dish I ordered and did I want to get something else. That's great service! Fast delivery. Fresh/great food. And no delivery fee (just tip)! For private party or gathering are welcome, we do have a full bar and happy hours daily. 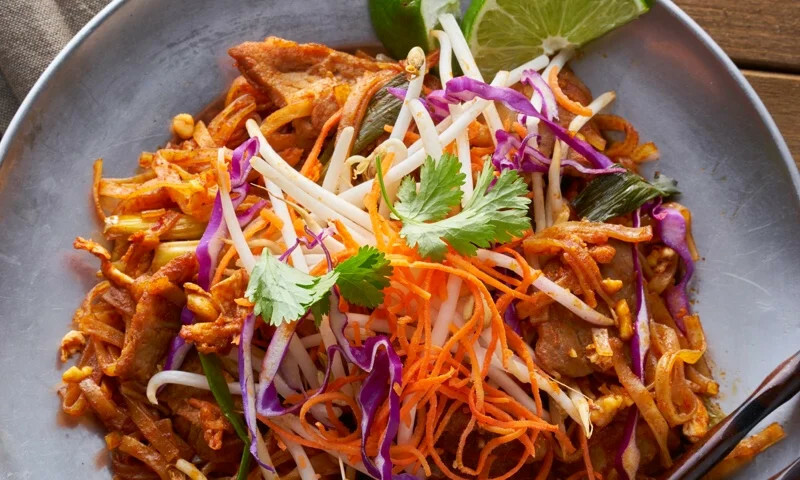 Whether you're craving a quick bite or looking to treat yourself to a delicious meal, you can now order your Si Lom Thai Asian Fusion favorites for takeout or delivery.